Gholami, Saloumeh & Armita Farahmand. 2016. Zoroastrian Dari (Behdini) in Kerman. (Estudios Iranios Y Turanios. Supplementa Didactica 1). Girona: Sociedad de estudios iranios y turanios (SEIT). Dari (also known as Behdīnī, Gavrī, or Gavrūnī), the topic of the present book is a critically endangered Iranian language. 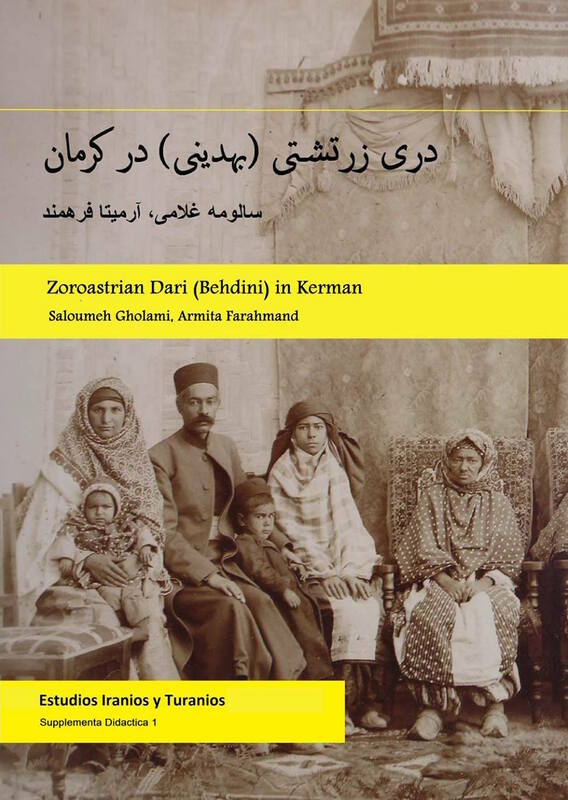 The study of Zoroastrian Dari is of particular importance for Iranian dialectology and comparative linguistics. This language is used in a parallel way to the Persian language of the Muslim population, and one can observe strong influence from Persian, especially in the domain of the lexicon. But Dari also differs from Persian, having special characteristics common to the languages of the North-West Iranian group. Sharing of both North-West and South-West features draws our attention to the fact that the immigrants to Yazd and Kerman originally came from different regions of Iran. The primary aim of this book is to teach Kermani Dari as a living language. This book offers basic materials for those who are interested in learning Dari. The focus is not only on grammar but also includes sections on learning vocabulary, listening to original documented materials, and also writing and understanding texts. The book consists of seven chapters. Saloumeh Gholami is a scholar of Iranian linguistics at the Institute of Empirical Linguistics at the Goethe University of Frankfurt, Germany. Armita Farahmand is a member of the Zoroastrian community in Kerman and a scholar of Zoroastrianism.